Here’s the thing about earphones, you love them because they are extremely compact, fits in your pocket and the big brands provide the best quality sound for it. However, the one problem that’s been frustrating all the music lovers is the tangling issue of the cable. Apple took it too seriously and introduced the Apple Ear Pods that are wireless, but we all know that by the time you’re reading this post, you might already lose one the earplugs. Yes, they’re that small. On the other hand, headphones are way bit cumbersome and bulky if you’re on the move every time. The technology, however, grows to introduce the new Bluetooth enabled headphones which have revolutionized the audio device industry. From Bluetooth speakers to the headphones, everything’s now going wireless, and it also resolves the issue to solving those tangled wired cables. 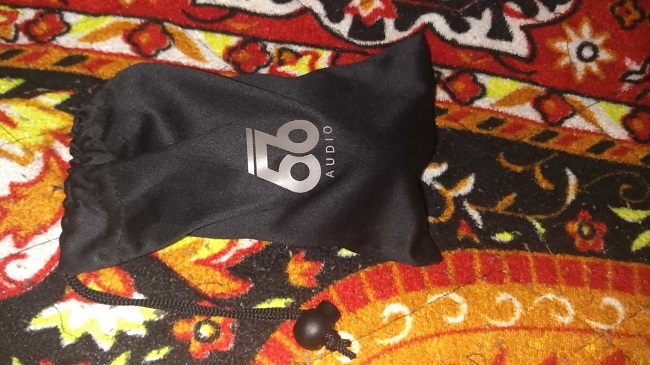 The one such headphone that I’ve received is the 66Audio’s BTS Sports Headphones that are amongst the trending recommendations on various e-commerce stores nowadays. So, without any further discussions, let’s start the review of this Bluetooth enabled headphone. The box came with a charging cable, a carrying pouch, a user guide, and the BTS headphones themselves. The minute I saw the headphones, I knew it’s extremely different from a regular one. These sports and action based headphones look subtle and compact in the first look. 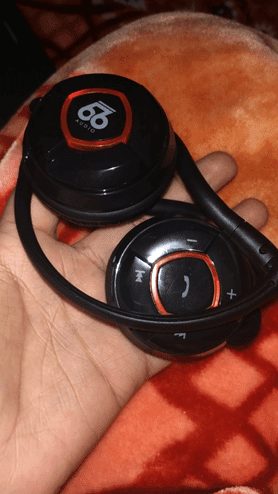 3-4 years back, when Nokia came with the Asha Series and launched some wireless headphones, the 66Audio headphones resembles them a little. It has an extremely minimal but sturdy build that goes around your head it goes from the back rather than the standard over the head design. The BTS Sport comes only in one color variant and has a shiny and matte mix blend in the design. 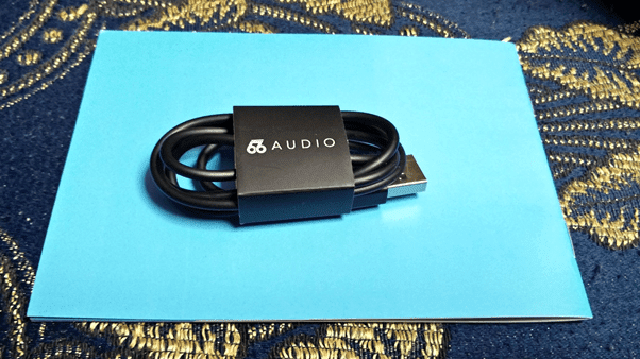 The initial impressions of the headphones are quite impressive, and we’ll get through the detailed thoughts about the device later, but first, let’s look at the pricing of this headphone. How much do these headphones cost? The Audio66 BTS Sports headphones only cost you around $59.99 for the domestic i.e. United States with free shipping and delivery. Also, the company supports international delivery for almost 100 countries, and discounted shipping is available. You can purchase the headphones directly from the official website. As the name suggests, these headphones are mainly targeted and crafted for the action based activities like running, gym workouts, and other sports based activities that require a secure grip around your head. Since ordinary earphones can't withstand the fast movements of the person working out, the BTS Sports are the perfect choice to go for. Talking about the design of the headphones, you’ll find all the controls and playback buttons on the sides of the headphones which easily blend into the body of the headset. The muffled cushions provide you with the extra sturdiness and comfort you need while running, climbing, walking, or just sitting in your bedroom. You can control the volume, fast skip and playback the songs, and can also receive phone calls directly from the headphones. Yes, the Audio66 Sport has a built-in mic for calling purposes, so you won’t have the trouble to use your phone during your action based activities. The cVc technology promises to give you a clear and disturbance free call directly on your devices. I used the BTS Sports headsets with my smartphone, and my laptop for all the testing and reviewing purpose. Being a music freak, I carried the headphones as my daily driver and attended all the calls on it as well. Talking about the music and audio playback, the headphones didn’t boast something unique about it. They were producing the standard sound like any other piece of headphones under the same price range. However, the bass in the music was seemed to be a little low than expected. Since the audio production in every wireless Bluetooth earpiece is yet not that up to the mark as compared to the wired ones, so I wouldn’t blame the headphones. The comfort of using these headsets took my heart. While on the early morning jogging session, the headphones didn’t disappoint me in any manner. The BTS Sports are standard moisture proof and suits you even you’re sweating too much. On the other side, binge watching three hours of Netflix with these headphones didn’t seem to be any trouble. Coming to the technology, the headphones are equipped with the Bluetooth 4.0 technology, and it was incredibly easy to pair up your smartphone with the BTS Sport. The headset is indeed compatible with all the latest devices including all the major Android smartphones, iPhones, iPads, iPods, Tablets, MacBook, and all the Bluetooth enabled PC and Laptops seamlessly. It hosts the Multipoint feature, so you can easily pair your BTS headphones with the two devices at the same time. 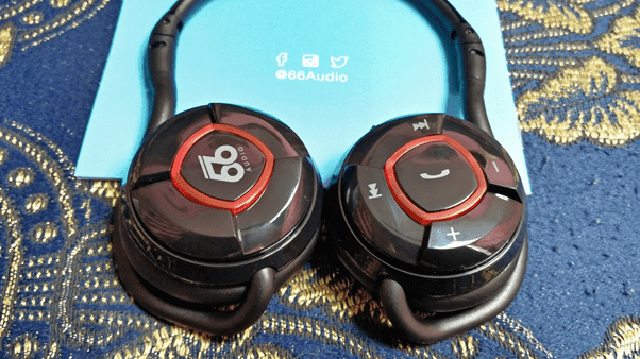 The Audio66 Sports headphones come with a rechargeable battery that gives you a 400 hour of standby and the 25 hours’ non-stop playback on the headphones is like the cherry on top. With ample sessions of music, the battery would last up to 2-3 days on a single charge. You can then quickly charge the headphones through your laptop or a power bank with the charging cable. So, this was my take on the 66Audio’s BTS Sports Headphones. They are surely recommended for the fitness freaks who love to pump their adrenaline with the motivating music. You can also use them for daily purpose, so it’s like a win-win situation for the customers. The pairing process only takes a minute, and the headphones are compatible with almost every device. Do share your thoughts on these remarkable pairs of headphones in the comment section below. Cheers! !